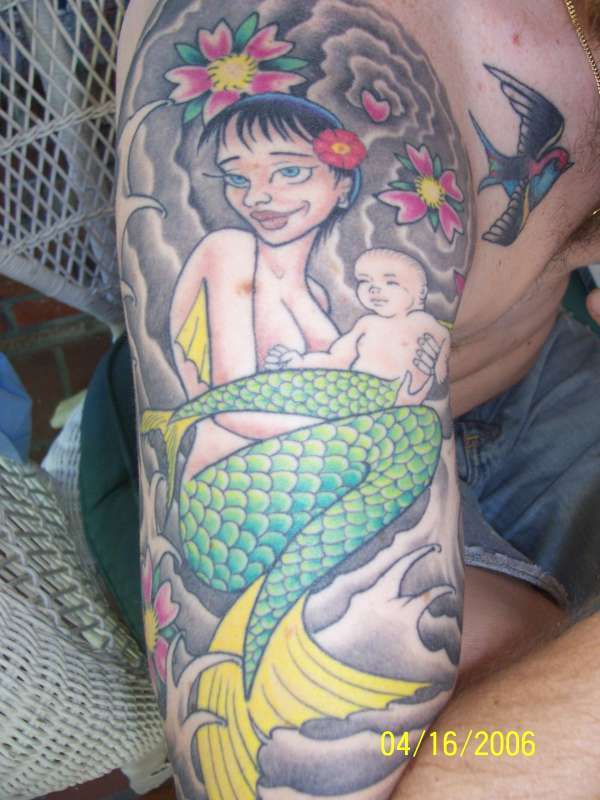 This is some ink I got to commemorate the birth of my son. I did not want it to be very portrait like but more cartoonish. I think Graham at 8th day did an awsome job. Thanks for the comment, I really like the idea of this tattoo. I also would like to tattoo something that reminds me of my wonderful daughter, but I haven´t come up with a good idea yet.